In case you missed the first two, we’ve added third painting party! These popular, vintage trees sell out fast, so get yours ordered today! These make great, one of a kind pieces to pass down for generations to come. All trees come with a light kit, colorful plastic mini lights, and yellow star tree topper. Special pricing not valid with other offers or discounts, the cost of the tree includes all painting and firing. You must pre order a tree to attend the painting party! (See Online Tree Order Event to order your tree.) An evening of fun, Christmas music, snacks and of course painting! 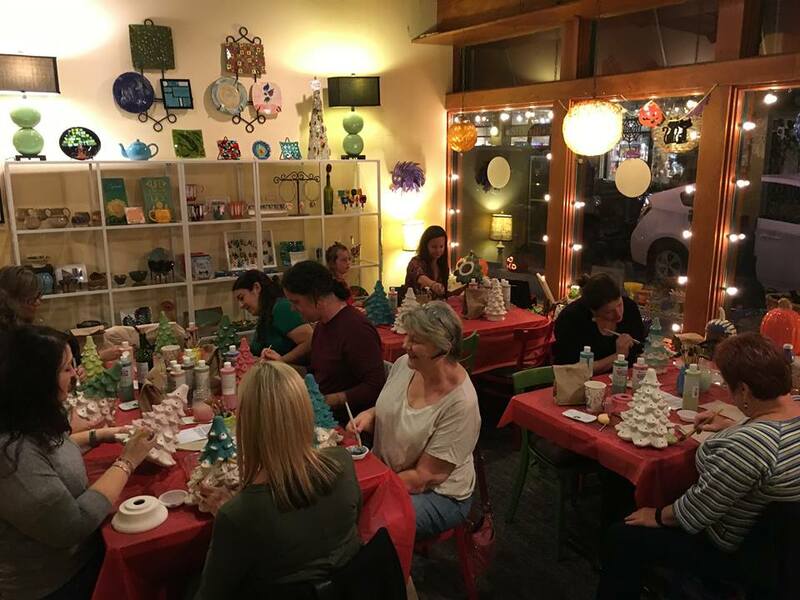 Painting Party is December 2nd, from 6-9 pm. Tickets are free with a tree purchase (please purchase tree separately through tree order form.) You must order a ticket to hold your space. Please note on your ticket if you have a group that would like to be seated together. Call Linda or Cassidy at the Asheville store (828-253-8181) with any questions.